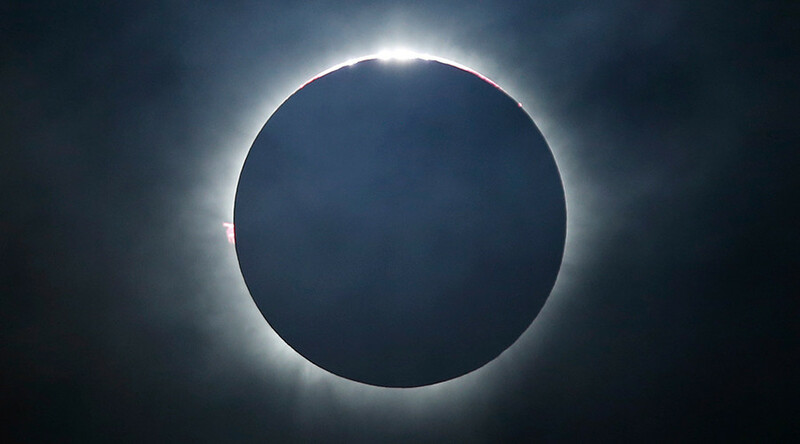 Space nerds were treated to a spectacle on Sunday when the moon blocked out the Sun in an annular solar eclipse that cloaked more than two dozen countries and three continents in momentary darkness. Astronomers could see the cosmic display from 8:16am ET (US), but, unfortunately for northern hemisphere stargazers, the eclipse was only visible in the southern half of our planet, as it moved across South America, the Atlantic Ocean, Antarctica, and Africa. The eclipse is known as the ‘ring of fire’ eclipse because when our moon passes between Earth and the Sun it acquires a brief, fiery outline. The eclipse lasted one minute and 22 seconds, however the lucky ones could feel the temperature drop and see the light blocked out in what many ancient cultures believed to be an omen, a warning sign of chaos and upheaval. Unlucky Northern hemisphere dwellers could watch the phenomenon unfold here live.